Eureka Bulletin Board Sets are sure to bring any room to life. With the brightest colors, individual designs and variety of styles, the choices are endless. Dr. Seuss Calendar Bulletin Board Set. 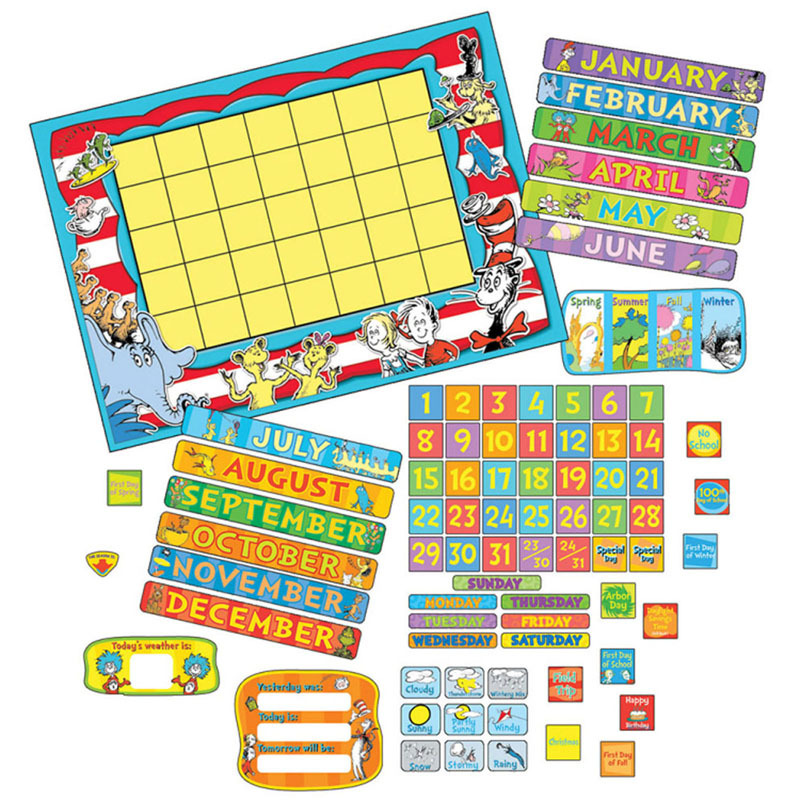 122 Piece Set includes an extra large 34" x 24" calendar grid, numbers, special days, months, days of the week and a weather indicator.